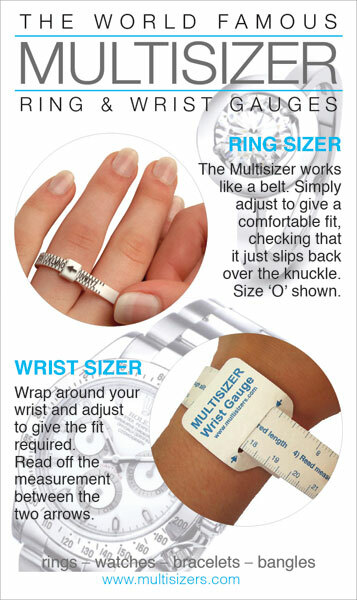 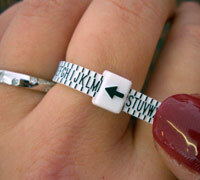 The Multisizer Ring Gauge is the most accurate and cost effective customer finger sizer available. 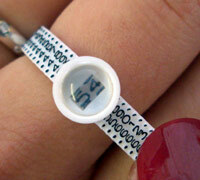 It wipes out expensive returns, increasing sales dramatically. 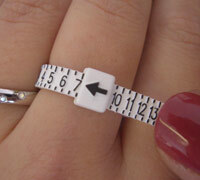 In such a competitive market, this small individual investment gives your customer the confidence to buy immediately, at exactly the correct size, each and EVERY time they buy a ring! 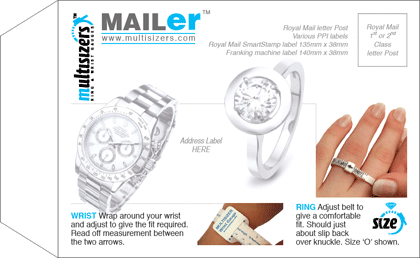 Include a Multisizer with your Catalogue, Mailing, and with jewellery mailed out, to increase sales and ensure that all important Impulse Buy! 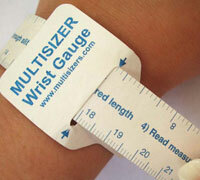 Multisizers supplied individually packed in colour Instruction envelopes.